“One of my favorite cartoons shows a fortune-teller scrutinizing the mark’s palm and gravely concluding, ‘You are very gullible.’” Thus writes Carl Sagan (1934-1996) in The Demon-Haunted World: Science as a Candle in the Dark. Sagan refers to the pseudoscientific gullibility that swallows hook, line, and sinker numerous scams, hoaxes, and bunkum such as demons, ghosts, UFOs, alien abductions, witches, fairies, religious apparitions, the Bermuda Triangle, astrology, and other foolishness. Seemingly, there’s no end to the irrational nonsense believed by unthinking, non-critical people. Sagan writes, “The siren song of unreason is not just a cultural wrong but a dangerous plunge into darkness that threatens our most basic freedoms.” Exposing quacks, cranks, crackpots, and charlatans, Sagan—wielding the sharp blade of scientific skepticism—cuts through such nonsense like a sharp knife slicing through butter. The Demon-Haunted World, however, is much more than a critique of superstition and a debunking of pseudoscience; more importantly, it is a celebration of science and the scientific method. By means of numerous case histories, metaphors, images, analogies, anecdotes, and quotations from many sources, Sagan reveals how scientific and critical thinking is “a candle in the dark.” The tools in his “baloney detection kit”—including a description of the most common and perilous logical and rhetorical fallacies—show how to distinguish real science from pseudoscience. Sagan points out that the scientific method—free inquiry, free exchange of information, optimism, self-criticism, pragmatism, objectivity—has a kinship and affinity with democracy, and opposes absolutist, dogmatic, closed-minded, authoritarian, totalitarian systems. The key to scientific thinking, Sagan asserts, is “the marriage of skepticism and wonder.” Just as a key ingredient of a successful retail establishment is “Location! Location! Location,” so do valid claims to knowledge require “Evidence! Evidence! Evidence!” Faith, appeals to so-called authority, the testimony of “experts,” and wishful thinking do not qualify as scientific thinking or square with the scientific method. 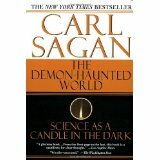 Published in 1996, the year of Sagan’s death, The Demon-Haunted World: Science as a Candle in the Dark is the last work by the man who popularized astronomy in his best-selling book and fascinating TV series Cosmos. Many critics hail this as his best work. Highly recommended! I recently had the privilege of hearing up-and-coming country artist Stacy Stone at a showcase at Two Old Hippies. 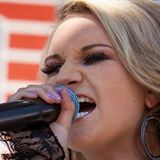 Blessed with a powerful, emotive voice, Stacy held the audience rapt as she performed several songs at the invitation of Rick Barker, Taylor Swift’s former manager. When I met Stacy afterward, I was struck by her demeanor: quietly assertive, with a self assurance grounded in years of hard work, despite her young age. In this exclusive interview with Underground Nashville, Ms. Stone, who moved to Nashville just weeks ago, talks about her incipient Music City career. UNDERGROUND NASHVILLE: What do you MOST want people to know about you as a country music artist? STACY STONE: I would mostly want people to know where I came from. I grew up playing sports until I was in high school. You name it and I’ve probably done it. I was a tomboy growing up. You could hear me coming from a mile away. But until this day, I’ve never been one who has to own the room. I hope to always remain humble. I believe that is the best quality a great artist could ever have. Gretchen Wilson was my main influence for wanting to sing. I’ve been compared to her, Kelly Clarkson, Ann Wilson, Mariah Carey. But I’m not looking to be “the next” anybody. Just the first of what I have to offer. UN: How do you hope to stand out, amid so many gifted young artists in Nashville? SS: I hope to stand out by being myself. I’m not your “boots and dress” kind of girl with a soft, cute voice. I’m a country-pop-rocker! I like being “risk-ay.” I have a powerful voice. Although there are many extremely talented singers and musicians out there, I feel that my five-octave vocal range is what sets me apart, along with what I can do with it. I do believe there are few who can exceed me vocally. UN: If your country-music dream came true, what would you be doing three years from now? SS: I have no idea. But in the perfect world, hopefully I’ll have an awesome label behind me, who believes in me and is proud to have me on their team. I hope to have a strong team that will be with me through the ups and downs. Ultimately, by then, I want to be on tour with many tour dates all over the world, with a successful album touching millions with my music. Editor’s Note: Roy E. Perry, who wrote book reviews for “The Tennessean” and “Nashville Banner” for thirty years, recently has been exploring the work of Southern literary artist T. R. Pearson. “Underground Nashville” is proud to present Mr. Perry’s latest review. Mark Twain once wrote, “Faith is believing what you know ain’t so.” T. R. Pearson’s fifth novel, Gospel Hour (1991)—a satirical spoof of fundamentalist/evangelical/faith- healing religion—illustrates this claim in spades. Opal schools Donnie in thespian techniques and oratorical skills, making him proficient in brandishing and thumping his white, simulated-calfskin Bible. Only half-heartedly convinced of his mystical experiences, Donnie nevertheless testifies at the Laurel Fork Full Gospel Primitive Missionary Holiness Church and, later, in a huge revival tent. 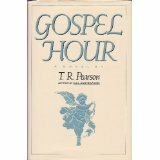 T. R. Pearson’s best work since his debut novel A Short History of a Small Place, Gospel Hour contains hijinks and chuckles, but a basic sadness pervades the story. I suspect that Mark Twain himself would have enjoyed this tale. Robert “Robby” Midgett, a 15 year-old Mt. Juliet boy with a teen-prodigy’s gift for writing science fiction, will officially release his first novel, Vagabonds, at a St. Jude’s benefit / book-signing launch party at Soulshine Pizza in Nashville on Tuesday, October 15 starting at 5:30 p.m.
Robby will donate a portion of the proceeds of all books sales (ongoing) to St. Jude Children’s Research Hospital in Memphis. The benefit for St. Jude’s will include live music and prizes. Soulshine Pizza is located at 1907 Division Street / Nashville, TN 37212. The event is free and open to the public, with donations to St. Jude’s greatly appreciated. By third grade, Robby Midgett read at a college level and by eleven he had written his first screenplay. Robby is currently preparing for his upcoming book tour. He is already working on another novel. 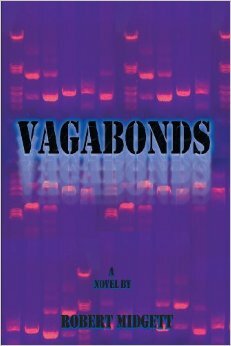 Started when Robby Midgett was just 13 years old, the sci-fi novel Vagabonds (Same Old Story Productions) is about a group of teenagers whose lives are turned upside after their peaceful world is invaded. Forced to travel from their destroyed homes, the teens forge new friendships . . . and do nightmarish things to survive. Vagabonds is available from Amazon.com or from your local bookseller via special order. Do you need an affordable video to promote your music . . . your Kickstarter campaign . . . your book . . . your workshop . . . or some other product or service? Our friends at Indie Connect and Media Design Service have partnered to make professional-quality, affordable video production available to everyone. * Workshop videos (for speakers and trainers). 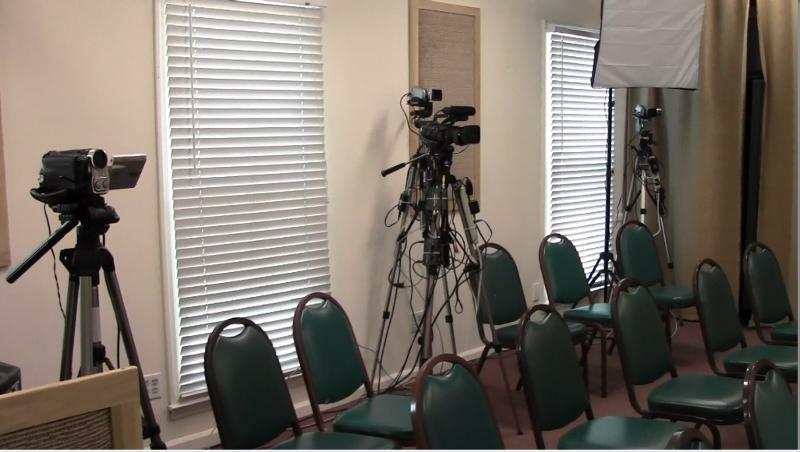 The video-production facility is located at 120 Donelson Pike, Suite 201, in Nashville, close to Nashville International Airport, and only 15 or 20 minutes from downtown Nashville. You are currently browsing the Underground Nashville blog archives for October, 2013.